For professional services firms, having the right project lifecycle is essential to having a profitable company. Even more, the processes that drive your firm’s project lifecycle must be in sync with the systems you use to manage them. There are several stages in the project lifecycle and evaluating your processes requires breaking down the steps. In this blog, we’ll look at the initial and most overlooked phase of the project lifecycle…winning the work. Here’s where many firms go wrong when examining their project lifecycle…to start a project, you must first win the job. So, evaluating the lead to opportunity process is an essential component and must be considered in the project lifecycle. When a new lead is acquired, it needs to be captured in a system that provides visibility to the entire company. As a business development person learns more information from the lead, it is input into the system and analyzed to see if the firm can meet the requirements to win the project. Once the decision is made that your firm can win the work then the lead becomes an opportunity. If you are using Deltek Vision or Deltek for Professional Services (DPS), it is recommended that you create a “proposal project” to track the time to prepare the proposal. By using a proposal project, your firm will have the analytics regarding the cost of winning and losing work as well as the total cost of the business development efforts. Developing the fee proposal is another important step to the business development portion of the project lifecycle. The fee proposal will eventually become the basis for the project budget. It will include what your firm is being paid for the various stages of the project. This may also include bonuses or penalties for meeting or failing to meet certain milestones. It is recommended for Deltek Vision and DPS users to develop the fee proposal using the resource planning module. This will allow you to incorporate previous performance from similar projects to ensure you are charging the right amounts and including the correct milestones. Additionally, firms should continuously check the scope of work and make sure it’s in line with the fee proposal you are developing. Once the client indicates it has a desire to move forward with your firm, the fee negotiation and budget finalization phase of the project lifecycle begins. Things to keep in mind during this stage are possible changes to scope, schedule and fees. The budget created during this process will serve as the guide for the project manager to execute the work. This blog discussed the business development piece of the project lifecycle. 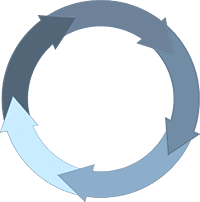 Remember that periodic reviews of your firm’s project lifecycle are a must to ensure that the process is still in line with how your firm has evolved. Stay tuned for more blogs about project execution and project closeout.